Atelier is InterSystems’ Eclipse-based development environment. It enables you to rapidly build solutions that leverage the performance, scalability, connectivity, and reliability of InterSystems’ comprehensive data platform. Watch "Getting Started with Atelier" videos. Attention! Please put an Atelier version and/or InterSystems Data Platform server version in your Atelier question. I'm trying to migrate the IDE for programming in COS, we normally use the Studio, but we want to use a more modern IDE. Our team has knowledge with Visual Studio plataform, but we couldn't configurate the compiler and terminal, I installed the extension InterSystems ObjectScript and tried to configurate to connect with my local machine, unfortunately the connection don't sucessed. Someone has material for how i can connect and compile? Some material i saw show how to use the compiler, but not how can i do the configuration. 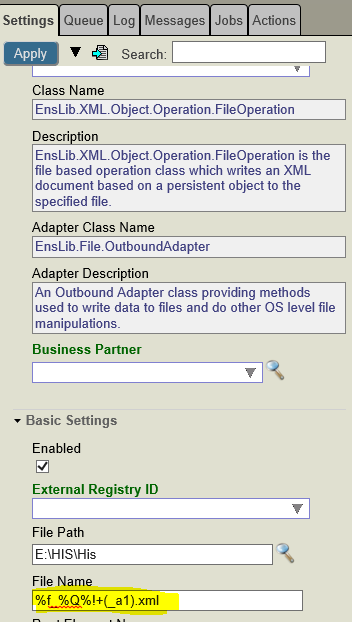 My Business process connector receive a Oru_01 hl7 message with an ED segment inside (Base64 pdf). How is it possible to extract it and create a pdf file within? Has anyone managed to get a dark theme (Like Darcula or Obsidian) working on the Atelier plugin. The Eclipse themes apply to everything in the IDE except the editor window, so it kind of defeats the purpose. I've tried searching for one but so far no luck. I know you can set each colour individually in the settings but I'd like a single config I can load if possible. ˮ This is one of my articles which was never published in English. Let's fix it! REST fromJSON nested structure date not working, getting "Datatype value is not a number" for a date, not possible to debug in Atelier. I am having a problem in REST service when de-serializing JSON using a nested Property. An internal error occurred during: "Label Job". Is it just me or is the sync mechanism way too slow and too trigger happy to be used for large projects? It keeps "Caching for server connection" which takes a good five minutes! Has it been tested with a large number of classes and CPSs? I have about 2000 of each. The Atelier 1.3 stable release update site (https://atelier.artifactoryonline.com/atelier/updates/stable/1.3/) has been updated to 1.3.139 just in time for the holidays! Most notably, take advantage of enhancements to compiling with InterSystems IRIS. You can find more information about the additions in the release notes here. This is a quick tutorial how to install and use TFS in Atelier. It is based on my self experience and some tricks that I 've noted. It's important don't store the file .buildpath because it has the server definition that you are working in a team, each one have the personal configuration, so the name of the server could be different. I'm using Atelier 1.3. When we configure a server and use HTTP to connect, works fine. 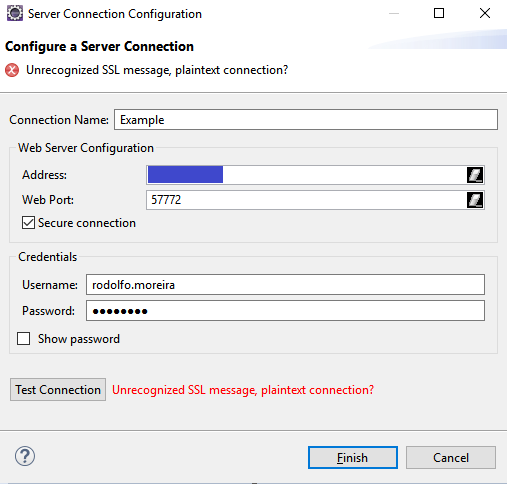 But when we activate the Secure connection option I get the Unregonized SSL message, plaintext connection? 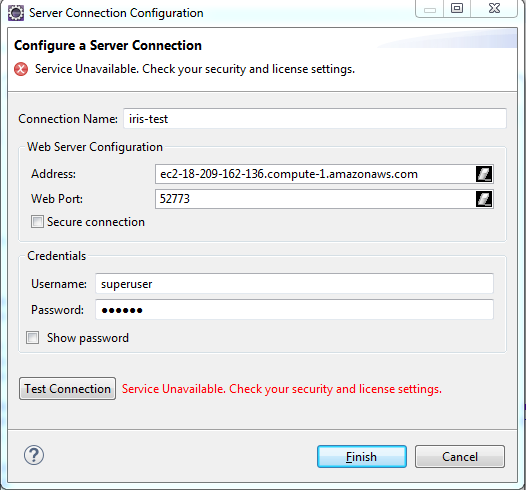 Do I need to perform any configuration on my server so that Atelier can access a secure connection? Atelier BPL tab uses wrong Internet Explorer Version, fails. When I open a BPL, or DTL class in Atelier it attempts to open a graphical editor using Internet explorer. Even though I have IE 11 installed it is somehow "stuck" in IE 7 emulation mode when invoked from Atelier (Eclipse). So I get an error message, and cannot use the graphical editor. This has been true in the Marketplace Atelier 1.3 and also Beta. Why cannot the editor work with IE7 anyway? How can I get Atelier to invoke IE with the right options? Why isn't there a tag for "Atelier 1.3 beta"? How to get Value of Collection of Collection? I can get value for Employee Name as Employee_Name. How can I get that? What would be the easiest start for development in Caché on WIn10 ? Domains to whitelist to allow Atelier updates? Our development team are on the main hospital infrastructure so we need to whitelist any plugin repositories that Eclipse will need to get updates from. The Atelier update site domain has changed from artifactoryonline.com to jfrog.io. JFrog Artifactory Cloud has deprecated the artifactoryonline.com domain in favor of jfrog.io. See their announcement for more details. We've made these changes available from the beta channel for your convenience. Simply get latest updates from https://atelier.jfrog.io/atelier/updates/beta/latest/ and the deprecated URLs should be replaced with active ones. These changes will be included in the upcoming stable update this Spring 2019 as well. Please visit our release notes page to learn more about the contents of this update. One of the many benefits of using Atelier for your ObjectScript development is its integration with a wide range of source control systems. This integration enables you to use modern development workflows which increase collaboration while minimizing the risk inherent to volatile code bases. 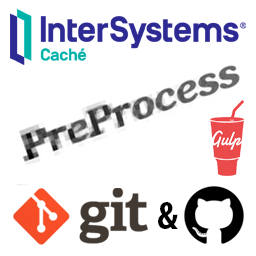 Veteran ObjectScript developers can tell you about the workarounds that were needed before they could use source control systems with products like Caché and Ensemble. One of these was to treat the data store itself effectively as a code repository. And so shared development environments became essential for many of our customers to be productive and successful. For code shops that rely on shared development environments, adopting Atelier might seem too complicated. This article aims to provide a practical example to guide your team towards success with Atelier. You can find an overview of the problems and solutions in this article here, which is a good place to start. This article assumes that you are familiar with the concepts introduced there. I am new to IRIS and I was told I could get a great hands-on experince with the commuity edition that is currently availabe on mutliple cloud providers. - A single-user license is not sufficient to run Atelier. I have just imported our Ensemble project (not a really big one, like two man-years) into my MacBook Air Ensemble 2016.3 instance to test many things (document model, etc. ), Atelier among the others. The "Production view" is not here, and I miss it. The opening of Diagram Editor for BP is pretty hidden. I would even like having a switch, which would default to the Diagram Editor. Anytime I click on the Open Diagram Editor, it waits for a while, ten produces an error and only then I can see the diagram. The error says: Your Studio browser is no longer valid... etc. I cannot find an easy access to the Save or Compile command, once I do some changes in the respective BP via the Diagram Editor. No conflicting files to resolve. Anyone using Visual Studio Code? Is anyone in the fine community of developers who work with ISC technologies looking at Microsoft's Visual Studio Code offering? One of Bill McCormick's recent posts about Atelier referred to Visual Studio being considered the best IDE. Granted, Code is far less of a tool than VS, and probably always will be. But it claims to be open source and cross-platform, i.e. Linux and OS X as well as Windows. I'm not 100% sure my post belongs in the Atelier group, but didn't see any other group that would be a better home. Might we benefit from a "Tools" group? The Atelier 1.3 stable release update site (https://atelier.artifactoryonline.com/atelier/updates/stable/1.3/) has been updated to 1.3.117. For the best upgrade experience, InterSystems suggests that you install Eclipse Photon fresh before installing Atelier 1.3. Photon support - Install Atelier in Eclipse Photon and benefit from the fixes and enhancements in this new release! Is there a way to create a custom ObjectScript formatting profile with Atelier? I'm looking for something similar to the built-in controls provided with the Eclipse Java formatter. If one developer is working on some code and is syncronising with the server and then another makes changes on that files, a merge process occurs for both developers as they both receive each others code. Also, when one subsequently commits to GitHub, they will have their work and the potentially partial work of their colleague added to the commit; which would make cherry picking/rolling back very difficult and also the traceability/context is lost. Similarly, if branches are used (although we don't use them much for this project currently) it would be syncing different branches constantly too..
JSON array or JSON object? InterSystems Atelier currently supports Java 8 with Eclipse Photon. We have started to look into supporting Java versions beyond 8 and what options we can offer for JDKs. We will update you all with new development on this subject. I have a question about creating properties with curl. I already did create properties in Java with the following command. It created the property TotalSteps with the type %Integer and the data path $.TotalSteps (since the header of my data source is also TotalSteps).